See Our Local Partners Here! 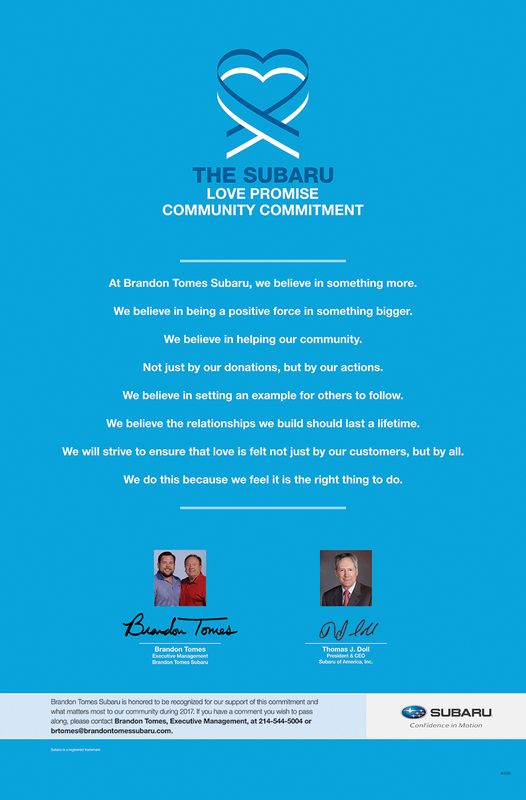 How is Brandon Tomes Subaru dedicated locally to the Love Promise? 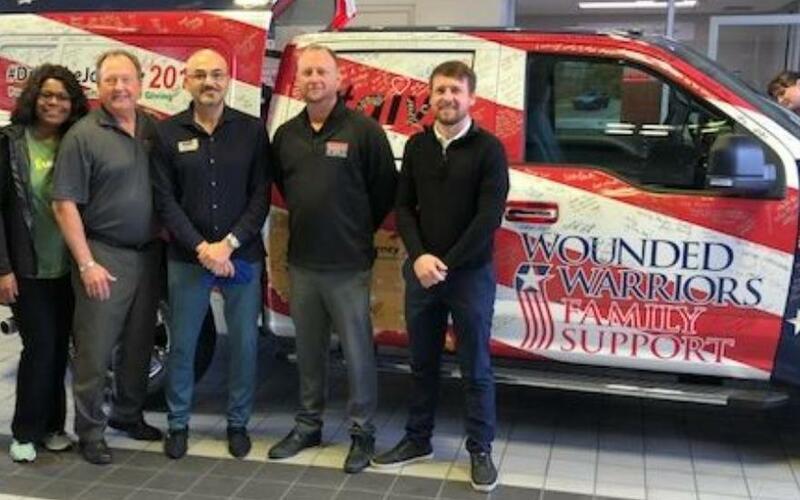 Our dealership is committed to serving and continuing to share the love by sponsoring and participating in local charities such as Meals on Wheels, pet adoptions, and other charitable events that we have the opportunity to be a part of. 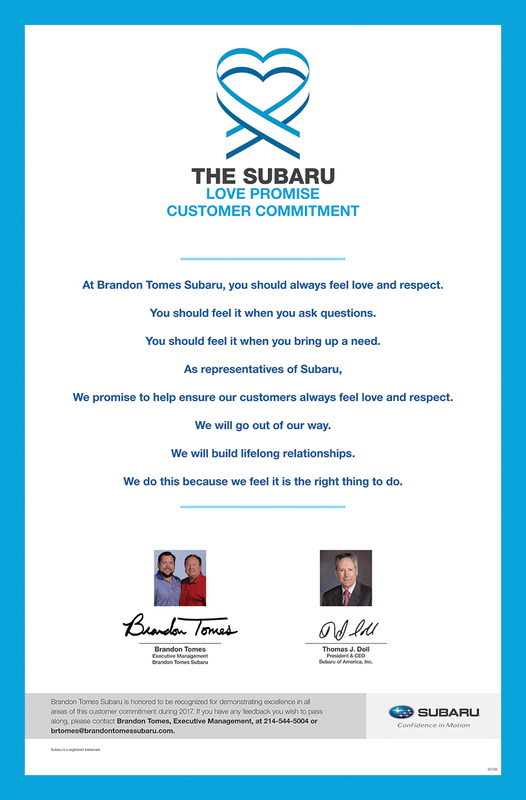 Did Brandon Tomes Subaru go above and beyond, provide exceptional service, or support causes that are important to you? We'd love to hear about it. Brandon Tomes Subaru was excited to host the Channel 8 News Team. Sean Giggy, WFAA’s top community reporter, visited with the team at Brandon Tomes Subaru to learn more about how the Free Food Pantry works. Sean was impressed to learn about the local partnerships Brandon Tomes had in the community. 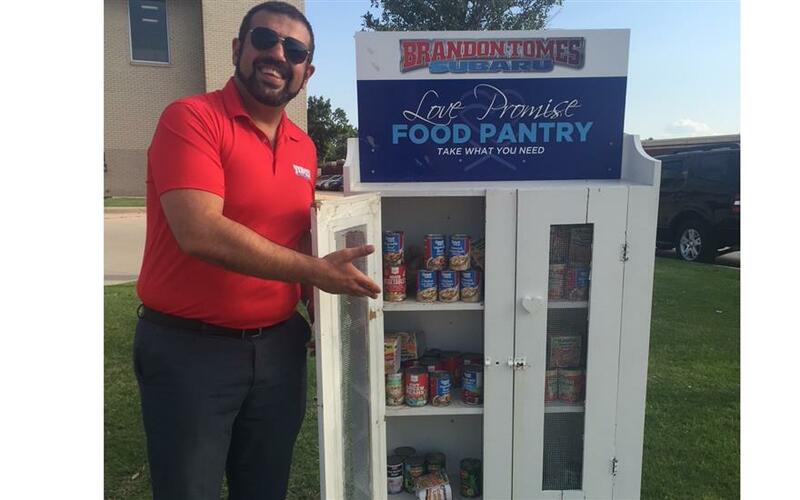 Brandon Tomes Subaru sales associates spend time volunteering at McKinney’s homeless shelter, “The Samaritan Inn,” and they serve food at “Meals on Wheels.” This really impressed Sean and negated active stereotypes of car dealers and car salesmen that he adopted over the years. Mr. Giggy decided to return with a TV Crew to film a news story on our Food Pantry, and our challenge to the other 600 Subaru retailers to create their own. 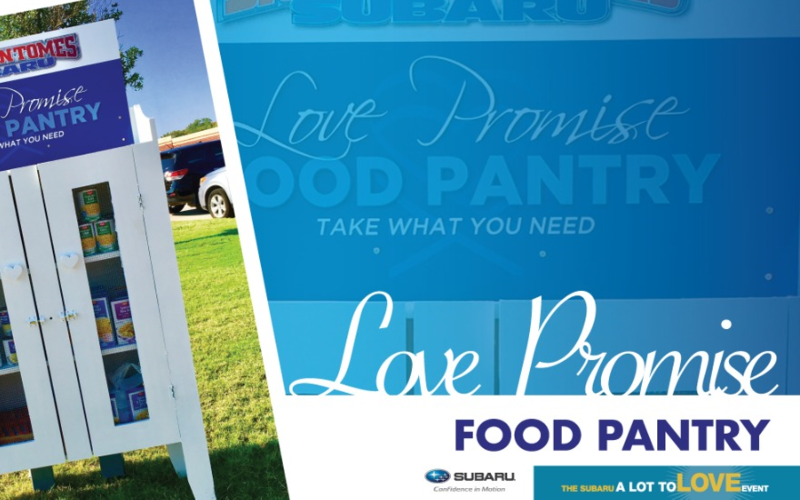 The entire Brandon Tomes Subaru organization takes pride in supporting and promoting our Love Promise Free Food pantry. This is not a seasonal act of giving, but a commitment to give back all year long. The team at Brandon Tomes Subaru collected "2" carloads of pet supplies during Subaru's "Subaru Loves Pets" campaign. The BTS associates and the generous BTS customers donated dog and cat food, blankets, pet treats, pet plays toys, feeding and water bowls, and many other items that our county shelter never has enough of. Brandon and Bob Tomes along with W.E. Fowler presented the supplies to very grateful shelter staff. This is the 7th year that Brandon Tomes Subaru has collected items to support the pets of Mckinney and Collin County. 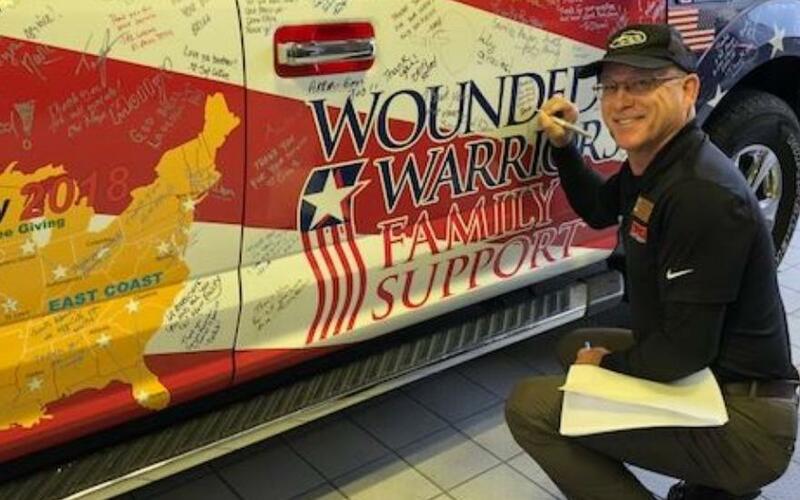 The team at Brandon Tomes Subaru supports the "Wounded Warriors Family Support" team as they cross the country raising money that will support families of wounded U.S. veterans. One of BTS's customers is driving this new pickup cross country and he will present that new vehicle to a well deserving Vet. The BTS teammates autographed the truck as well as donated to this great cause! Last month I was shopping for a new car. I am a single woman and I was looking for a new car that made me feel safe. I did my homework online and decided that I wanted to look at a new Subaru Forester. I went to my hometown Subaru dealer, Brandon Tomes Subaru in McKinney Texas. Everyone at the dealership from the Sales Associate to the Finance Manager were great to work with! I found the Forester that I liked, test drove it and purchased it the same day. This is probably not an unusual story for Brandon Tomes and his team. The reason for my letter is, when I was coming back to the dealership from my test drive I spotted a cabinet with a sign on it next to the street. The standalone cabinet was full of food. 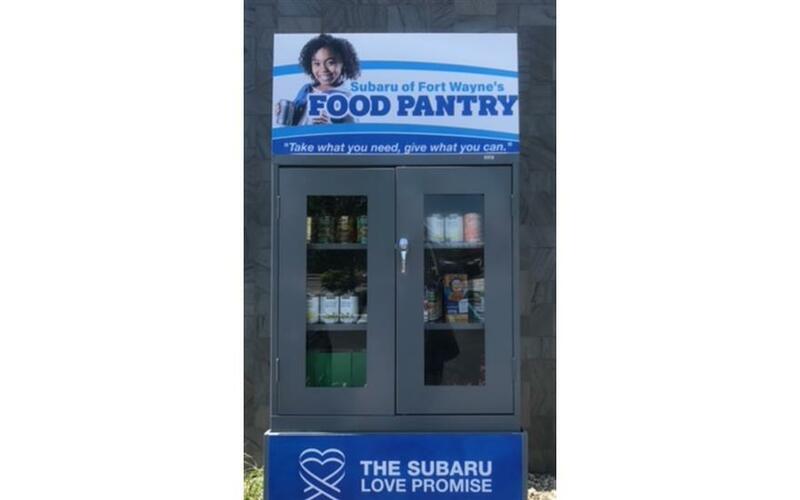 The sign said "Brandon Tomes Subaru Love Promise FREE Food Pantry. Take what you need." I asked my salesman what it was and he told me that the Brandon Tomes Team built the food pantry about 8 or 9 months ago. I asked him who could take the food and his answer was, ANYONE! This warmed my heart. I have been a social worker for 30 years and this sold me on Brandon Tomes Subaru and on Subaru of America. Our community has a significant number of homeless people and I have spread the word about this free food pantry. When I was doing research on which car to buy I was very impressed with Subaru's commitment to the earth, community and to giving back. I read Subaru's Love Promise on their website and I saw that same Promise displayed at the dealership. It is clear to me that Brandon Tomes and his team are committed to giving back to our community. I have included a picture of my Sales Associate displaying the food pantry. He was a great sport. 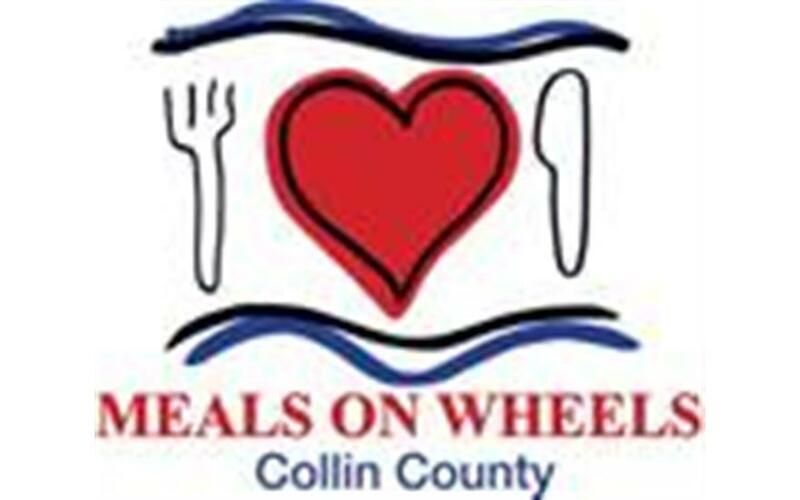 Thank you, Janie L.
Every year, Meals on Wheels Collin County brings together local businesses and leaders in our community to enjoy friendly competition on the greens. 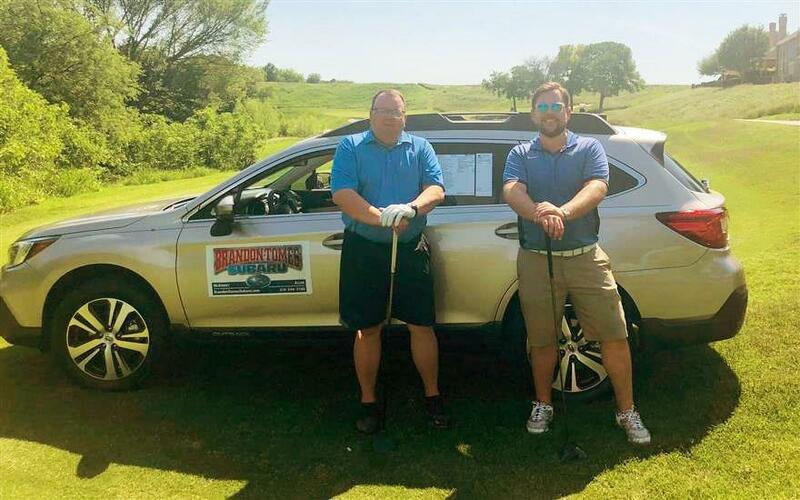 Brandon Tomes Subaru was a proud sponsor of the 13th annual golf tournament. 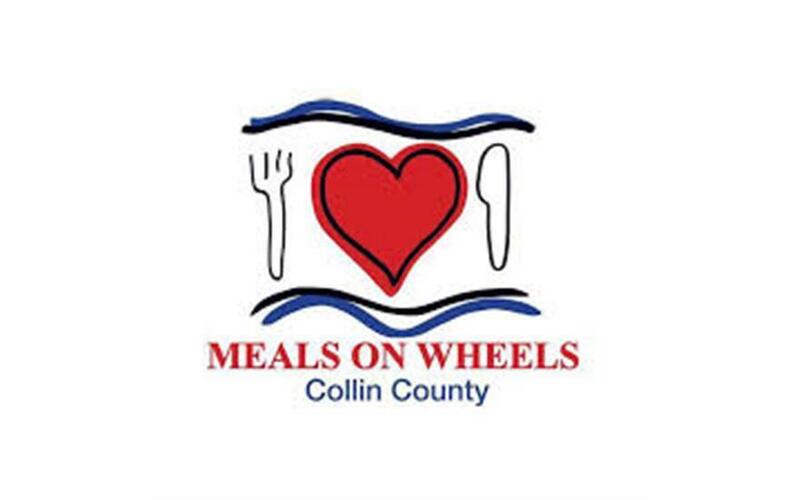 Proceeds from the tournament help Meals on Wheels Collin County ensure over 1400 senior citizens will continue to receive the help they need to live happier, healthier, and independent lives. The Samaritan Inn, a Mckinney based organization, is more than just a place to spend the night. We offer a holistic approach to those experiencing homelessness in North Texas. We serve the whole person - addressing physical, emotional, and spiritual needs. Every situation is different, and The Samaritan Inn is the only place in North Texas with a comprehensive program built to serve individuals, families, and their pets. Our community partners like Brandon Tomes Subaru affords us the opportunity to implement our program which focuses on four pillars - Case Management, Counseling, Financial Literacy, and Career Development. We are incredibly grateful for Brandon and his entire team! With the support of the community, we help our residents gain dignity and independence. Brandon Tomes Subaru was a proud contributor of $61,495 this year. Well done! 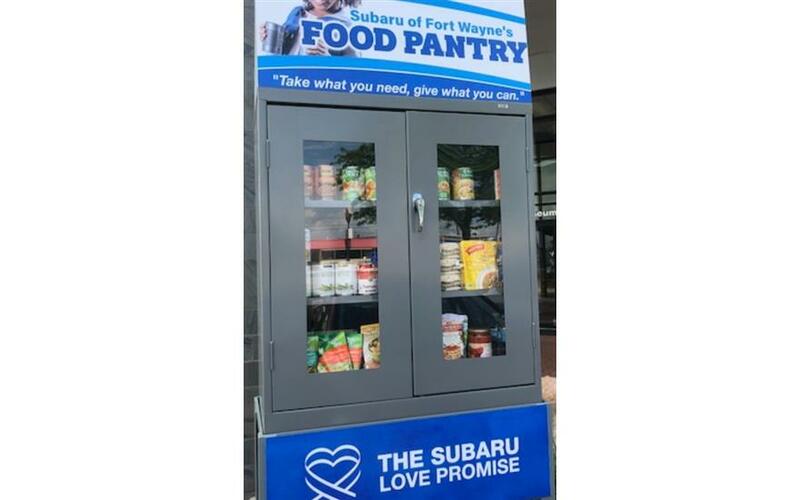 Brandon Tomes Subaru is excited to provide a food pantry for our local community, right outside our showroom doors! Food pantries help a variety of people in our community, all of which have one thing in common—they are in need of help/assistance. Our pantry is here to help serve that need and does so by providing complimentary nonperishables and a place for community members to donate their goods to others. Free standing and in a convenient location, not to mention always open, access to nonperishable items can be found with ease and are always anonymous. Select the items you need from the items available and don’t worry about replacing them unless you’d like to! Our goal? To provide for our community! 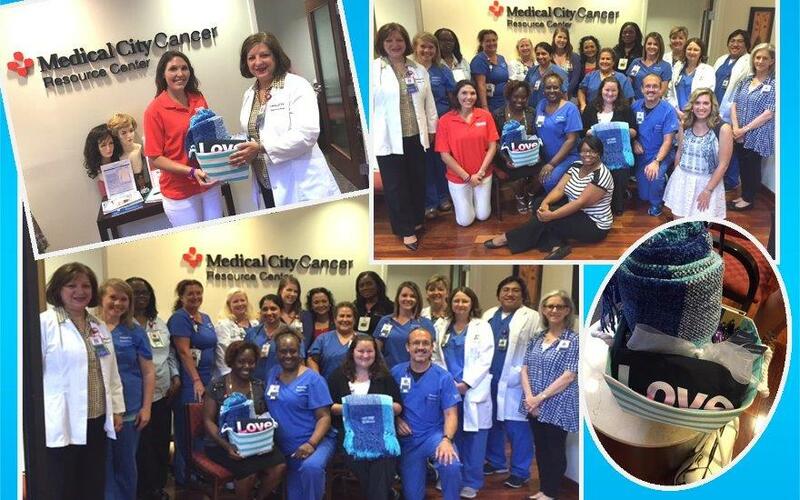 On July 11, Brandon Tomes Subaru partnered with The Leukemia & Lymphoma Society (LLS) of North Texas to deliver warmth to patients battling cancer at Medical City- Dallas. Brandon Tomes Subaru generously donated 80 blankets along with a number of arts & craft kits to patients at the hospital. While we were there, nurses from the oncology and children's floors came to deliver the blankets to patients. Before we left, the nurses came back for a second round of blankets and told us how excited the patients were to receive such a kind gift of love. 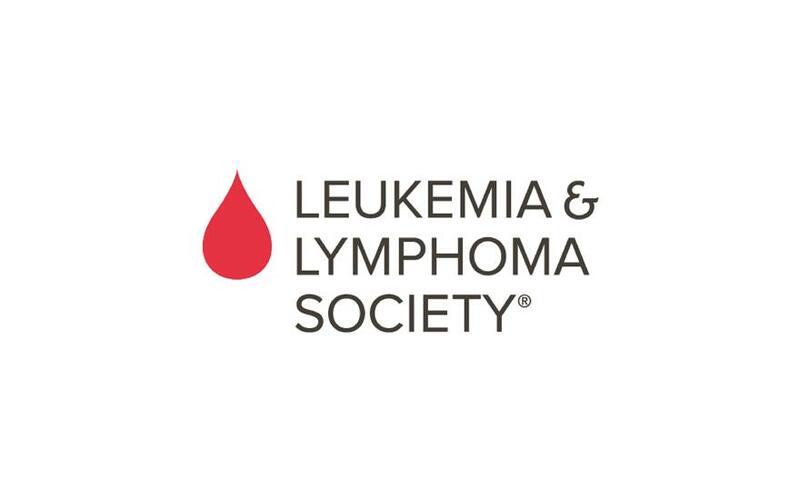 Subaru supports the Leukemia & Lymphoma Society in their mission to cure leukemia, lymphoma, Hodgkin's disease, and myeloma, and to improve the quality of life of patients and their families. LLS and patients across the country thank Brandon Tomes Subaru for their generosity towards our community! Because of you, our patients feel supported through their treatment and in survivorship. Thank you, Brandon Tomes Subaru! 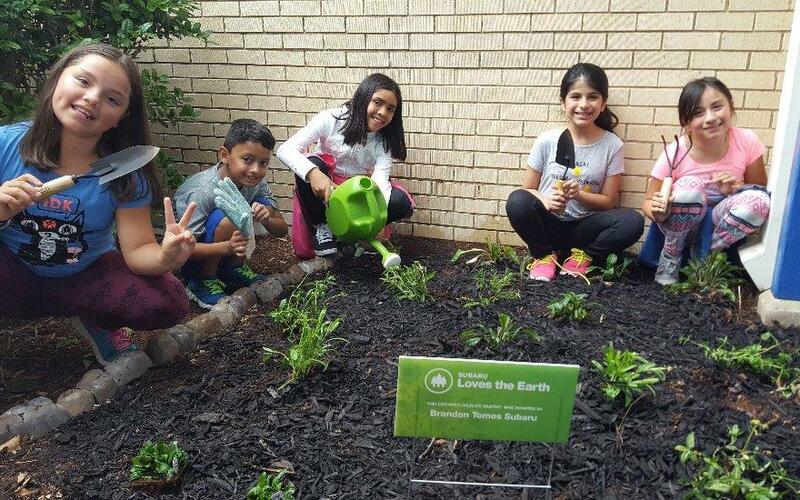 We honored and grateful to have the opportunity host a beautiful native wildlife garden at Nell Burks Elementary! Like a team sport or mascot, providing our students with this amazing and hands-on gardening opportunity has offered a symbolic locus of school pride and spirit. Gardening offers schools a way of helping children to identify with their school and to feel proud of their own individual contribution. Students had the opportunity to discuss and learn about which plants they helped to plant, and they are extremely proud of their finished product and hard work. This experience has provided us with the ability to foster school spirit and each student's attitudes toward the positive school culture and ownership. 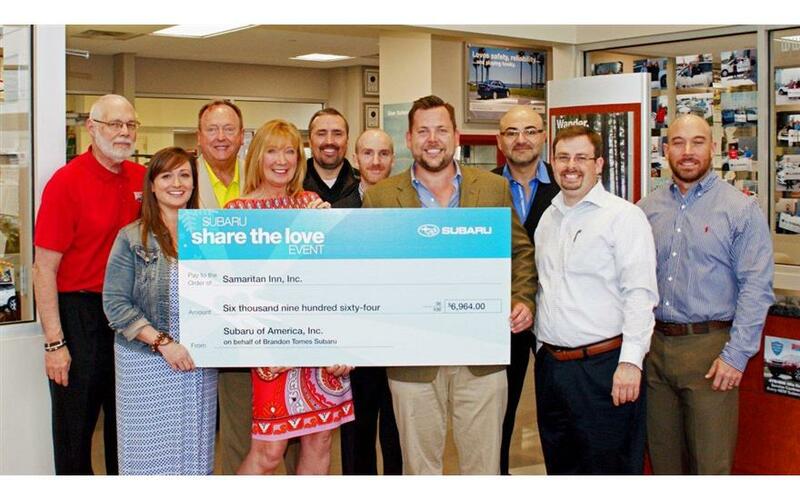 Brandon Tomes Subaru took the Share The Love program to another level this year. Sales, service, management, and office employees took time out of their day to tour the only homeless shelter in Collin County and physically gave back to their hometown charity by volunteering. Brandon Tomes Subaru had an unbelievable time learning first-hand what exactly The Samaritan Inn does for their community and were able to be apart of serving lunches, stocking the pantry, unloading donations, and mingling with the residents. 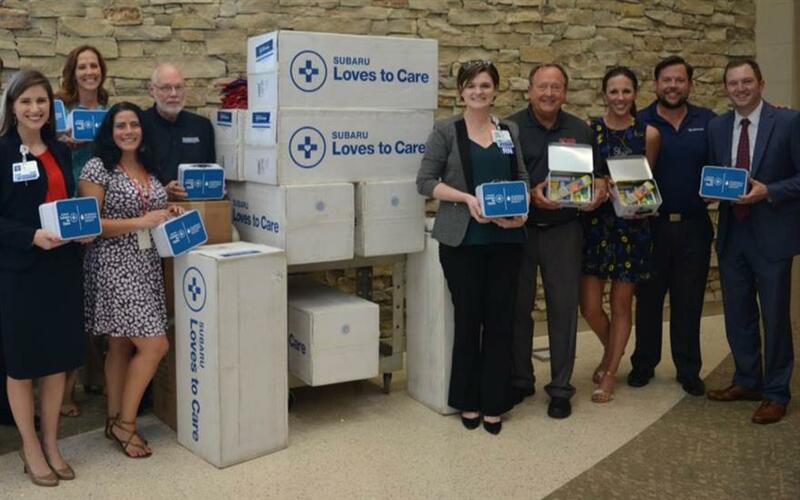 These experiences were shared with their customers during Share The Love which assisted them in raising over DOUBLE the amount they were able to raise last year for The Samaritan Inn! Congratulations! 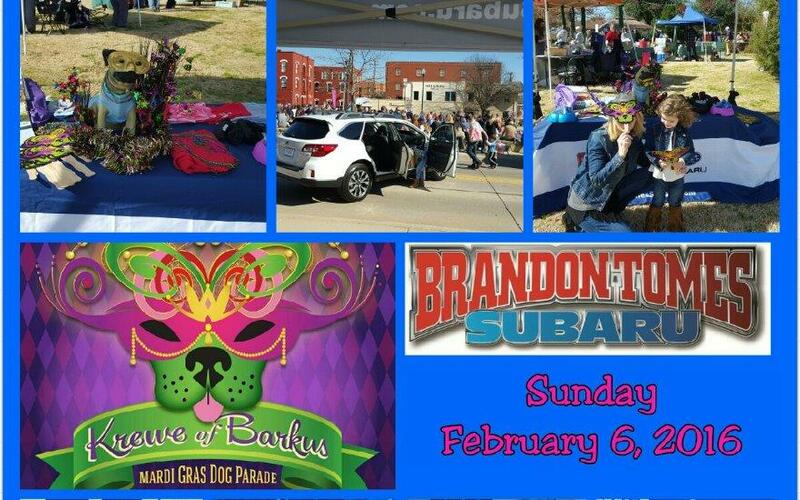 Brandon Tomes Subaru continues to support the community though its involvement with our annual Krewe of Barkus, costume dog parade and dog awareness event. 2017 marked the 15th anniversary of the event with 250 dogs and 4,500 parade spectators. 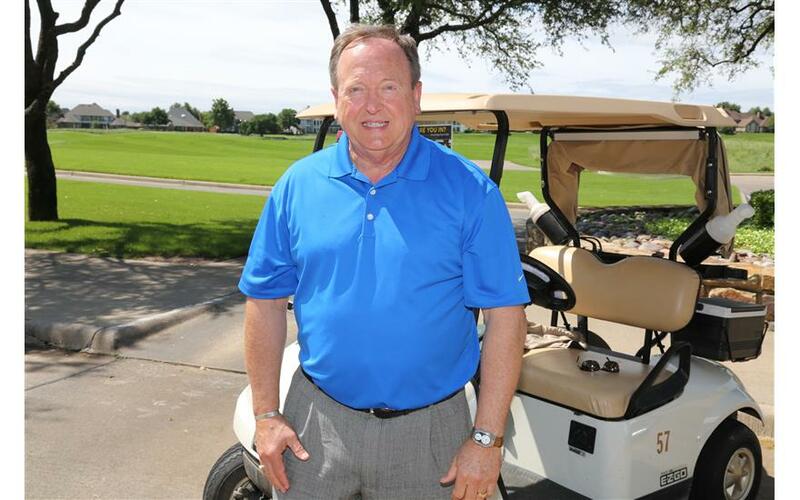 This event is a McKinney favorite and receives high visibility from local media. At this year’s Krewe of Barkus, there were seven dog rescue non-profits featured and the event resulted in several dog adoptions that day. 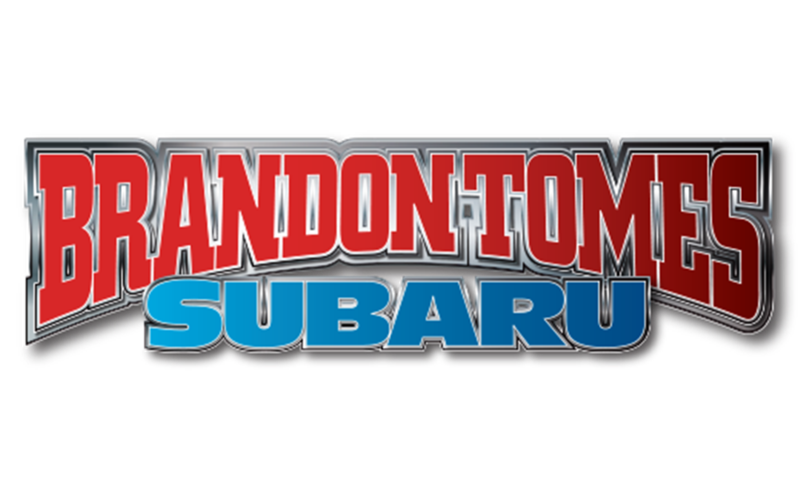 We are very grateful for Brandon Tomes Subaru’s participation and support. 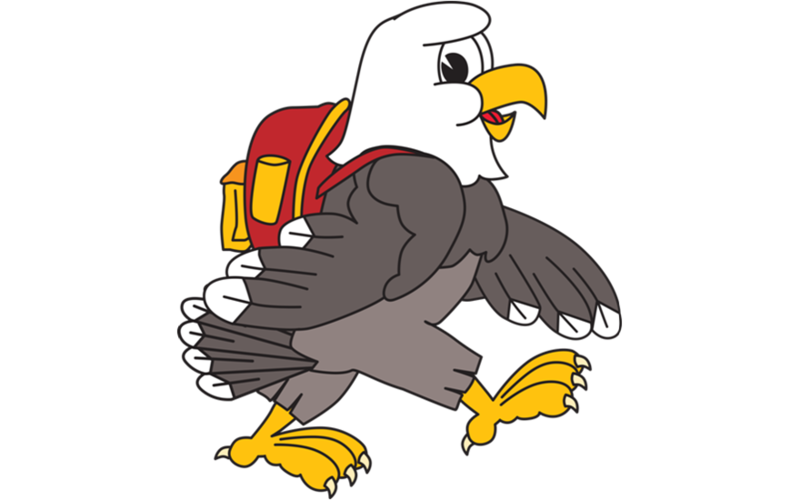 Communities In Schools at Burks Elementary surrounds students with a community of support, empowering them to stay in school and achieve. 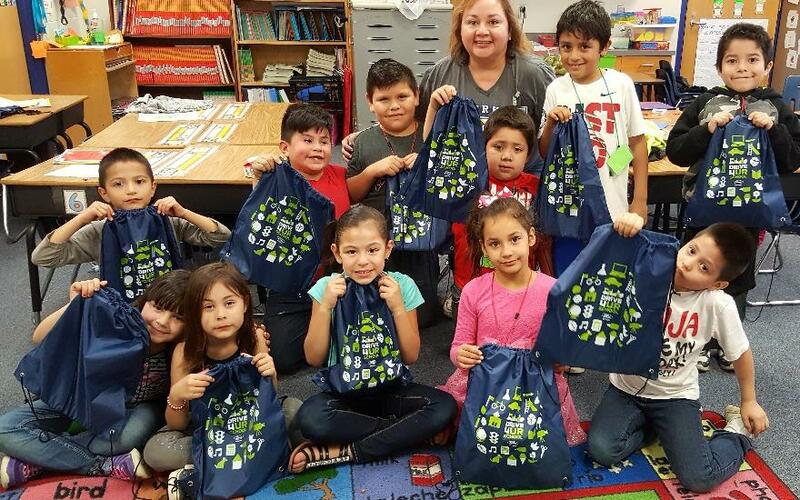 Thanks to Brandon Tomes Subaru/Ford who provided assistance to Burks Elementary with school supplies, sport bags and pocket planners, our students participating on the CISDR academic support program, run by Manager Eva Madera, are able to complete school assignments without any limitations.The people in charge of the "Subaru Love promise" is amazing! 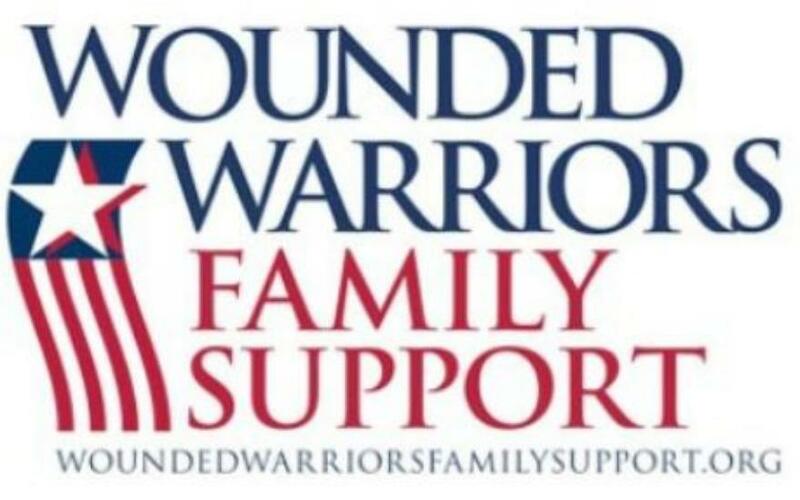 Your donation is greatly appreciated! 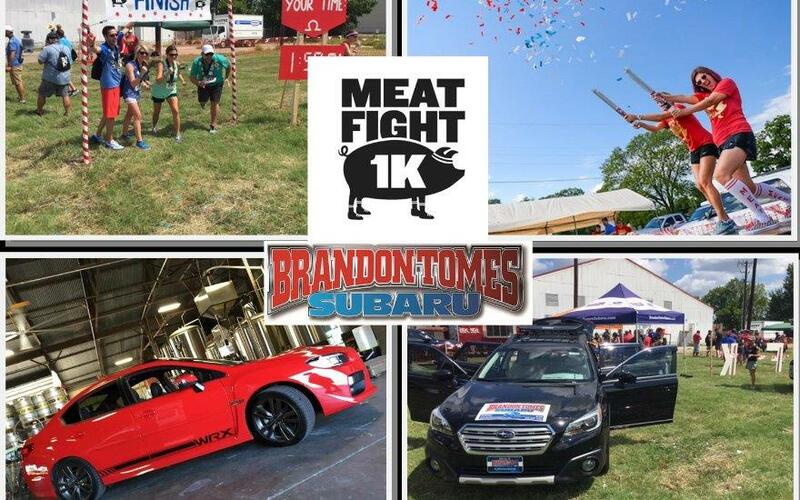 We were so thankful to have Brandon Tomes Subaru in McKinney, Texas, as a supporter of the first ever Meat Fight 1K! Our charity event was a smash hit, and it's definitely in part thanks to the generous donation we received from Brandon Tomes Subaru. Our attendees ran a 1K course through 23 different stations of beer, whiskey, meat and more-- all to benefit the National Multiple Sclerosis Society and people in the DFW area living with MS. The event raised over $24,000 for the cause, and was a blast. Many thanks to Brandon Tomes Subaru for being a part of our fight to end MS. We can't wait for next year! Go meat! 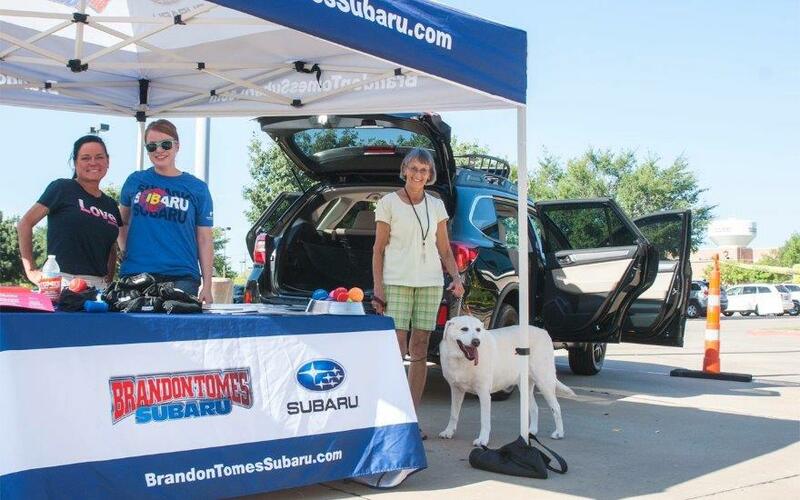 - Alice Laussade CEO Meat Fight, Inc.
Camp Bow Wow McKinney, a premier dog daycare and overnight boarding facility, was thrilled to have Brandon Tomes Subaru participate in our Grand Opening event on August 6 at our 448 N. Custer location. Event attendees were not only able to check out the latest Subaru Outback, but they also went home with some great giveaways. We especially appreciated their support of our adoption event and the many rescue groups that were part of this Grand Opening "Paw-ty." Not only did some homeless hounds find new homes, but the event also raised money for the Bow Wow Buddies Foundation, which offers grants of up to $2,500 for necessary medical treatments for certain conditions and emergency services for our canine friends in need. Thank you Brandon Tomes Subaru!! Since its founding in 1984, The Samaritan Inn has provided shelter, food and life-changing programs to almost 10,000 homeless members of the community. 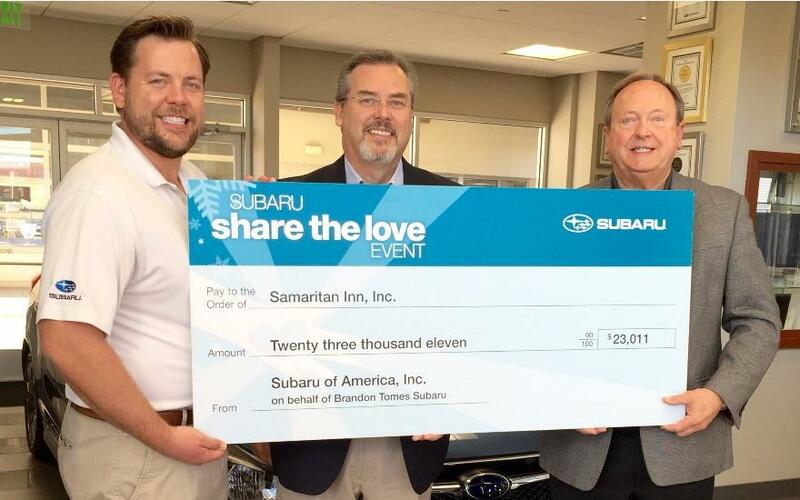 The Inn could not continue to help willing people gain dignity and independence without the support of community partners like Brandon Tomes Subaru. Brandon and his team have held numerous events to help raise funds and awareness for The Samaritan Inn, the most recent being the Share the Love Campaign, which raised an incredible $23,011. Those funds allow The Samaritan Inn to serve over 500 residents. There is no doubt that the Share the Love campaign was so successful this year because of the efforts of the team at Brandon Tomes Subaru. Well done! For 14 years the Krewe of Barkus parade has been a tremendous source of civic pride and community involvement. It is one of the most highly publicized family-friendly events in all of north Texas. Newspapers, television, and radio stations from Dallas and Fort Worth cover the event each year and the positive publicity our city receives is priceless. 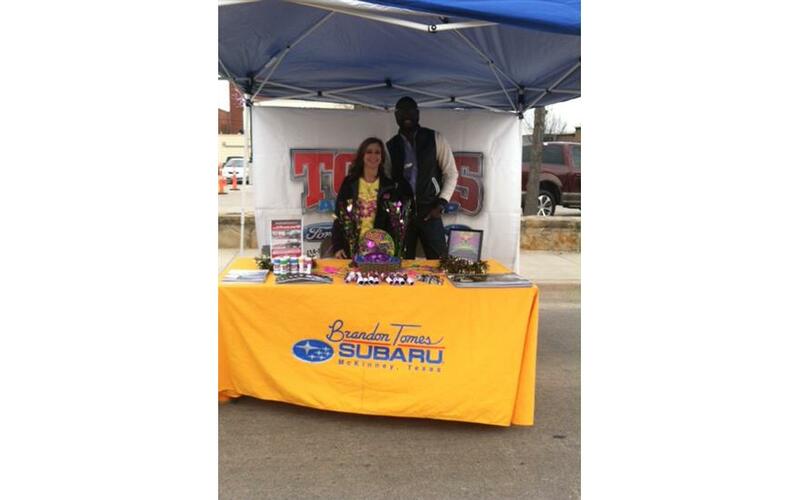 Brandon Tomes Subaru was there to participate in this family event in downtown McKinney on February 6, 2016. The theme this year was "A Salute to All Things French". 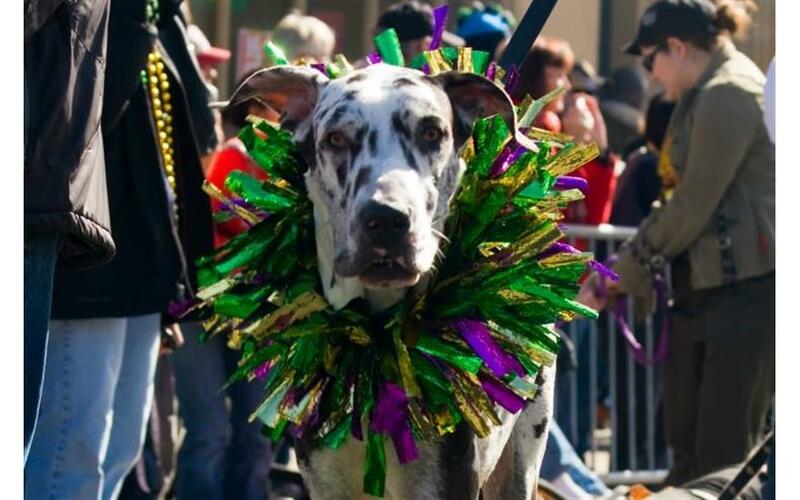 McKinney's Krewe of Barkus is patterned after the Mystic Krewe of Barkus in New Orleans, which was established to help abused and abandoned dogs. The start of school is an exciting time for students everywhere, but this year, a special classroom of Kindergartners received an unexpected surprise! 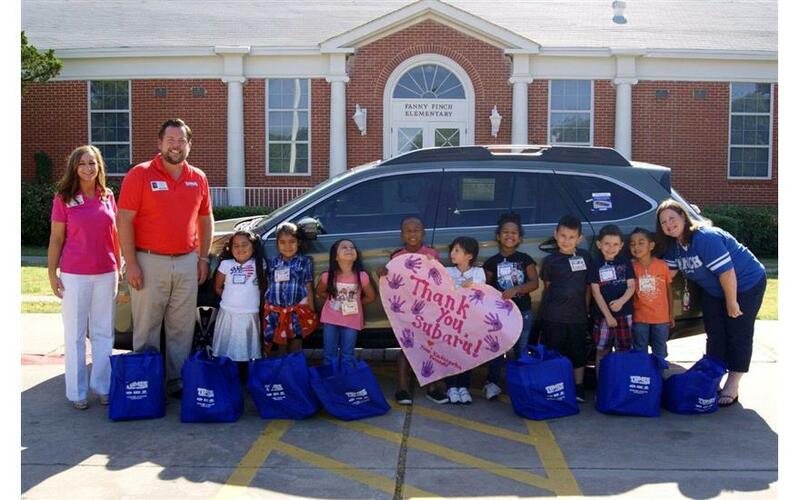 Brandon Tomes Subaru in McKinney made a generous donation to my class at Finch Elementary. Through the Adopt-a-Classroom program, they donated $200 to purchase classroom materials. I was able to get some much-needed educational tools for my kindergartners. These included literacy activities, math manipulatives to help with hands-on learning, and books! These materials will help increase engagement, which translates to increased student achievement! 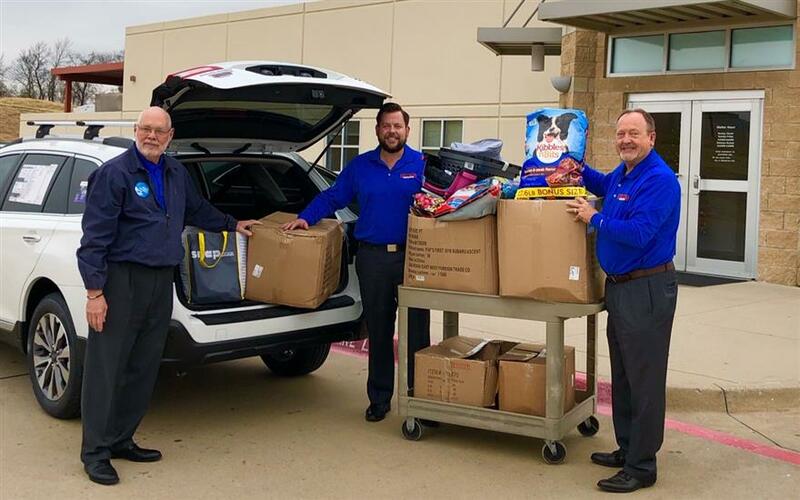 In addition, Brandon Tomes Subaru solicited school supply donations from its customers, and FILLED a Subaru vehicle with markers, folders, pencils, index cards, glue, supply bags, crayons and paper! They also donated $95 to purchase additional supplies! The kids were over-the-moon with their excitement, as was I! They were so grateful for the help with materials and couldn't wait to get to work using their new school tools. 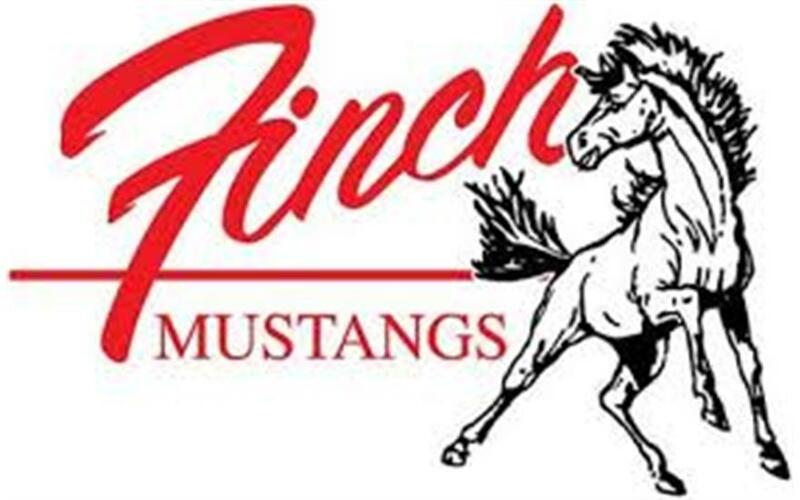 Finch Elementary is a Title I school located in east McKinney, and has a large population of English as a Second Language and bilingual students. The kids (and teachers) were touched by the generosity of Brandon Tomes Subaru because it means that people all over McKinney and surrounding cities want them to be successful, and it shows them that their community cares! 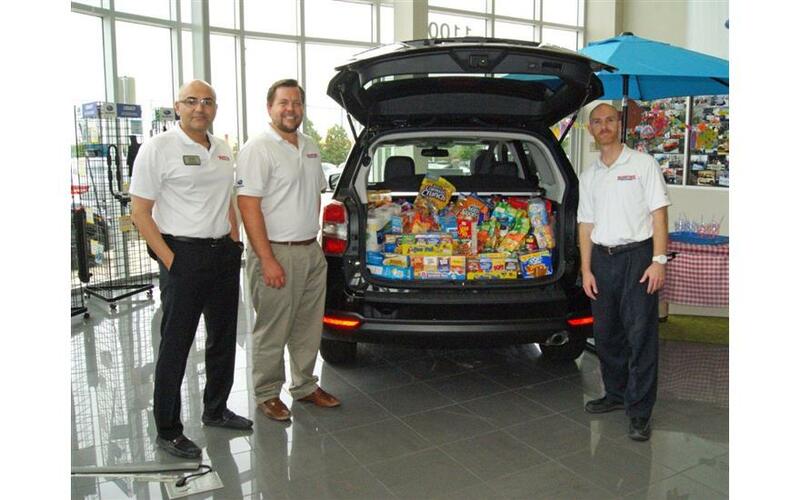 Brandon Tomes Subaru collected canned food products from our staff and customers in the "Stuff the Subaru" Event. Meals on Wheels was delighted to hear of the donations we had collected for them and stated it would be a tremendous help to their clients. We, at Brandon Tomes Subaru, are happy to assist in providing for our community. Meals on Wheels is an organization that provides meal delivery programs for the elderly and handicapped in our community. 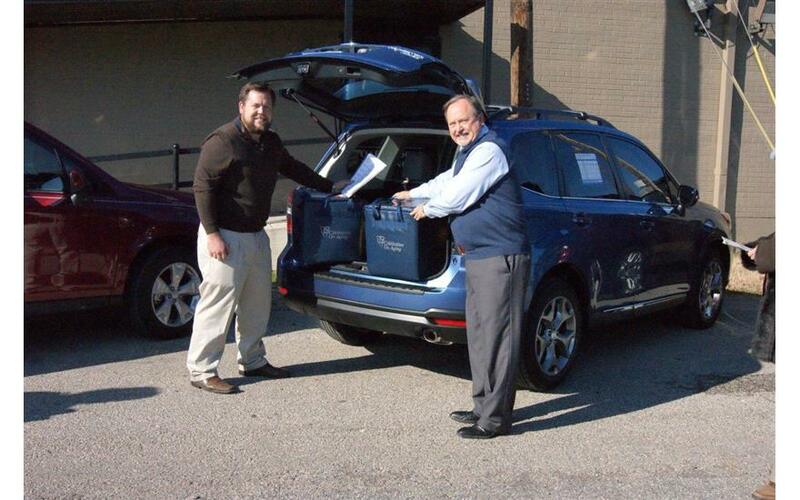 Brandon Tomes Subaru recently sponsored their 10th annual Meals on Wheels golf tournament. $60,000 was raised, which will be used to directly fund the Meals on Wheels programs. This year they will be able to provide more than 250,000 meals. 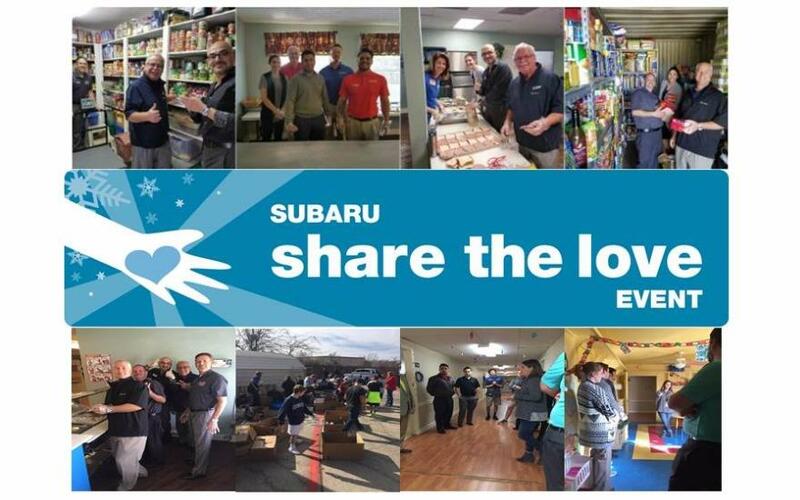 The "Share the Love" Event entered its 7th year for Subaru of America, Inc. in November, 2014. 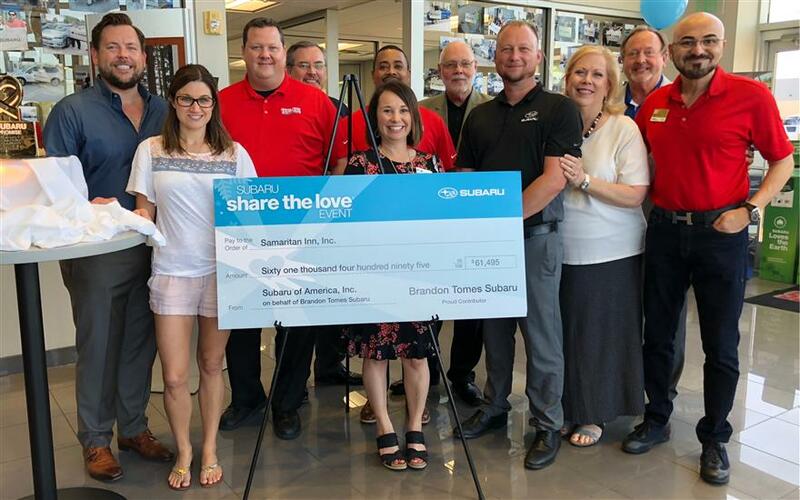 During the "Share the Love" event, for every new vehicle purchased or leased, Subaru donates $250 to the owner's choice of participating charities. 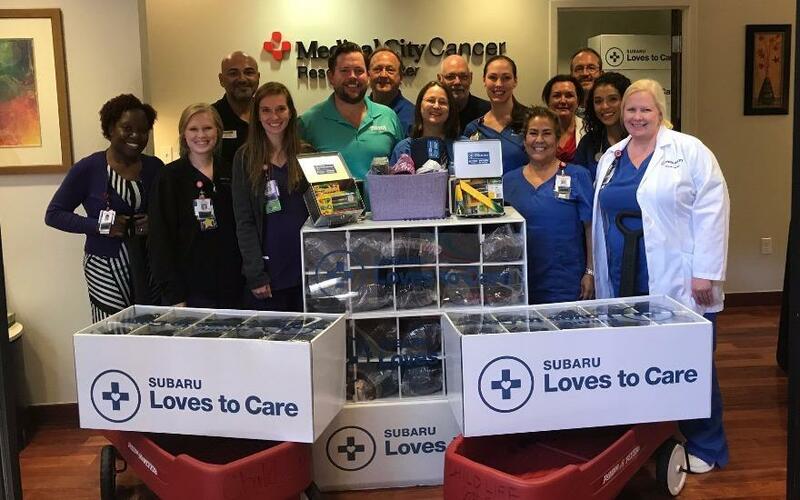 Over the first six years of the event, Subaru and our retailers have made a real impact, donating a total of $35 million to a wide range of national charities. The charities chosen by Subaru were Meals on Wheels, ASPCA, National Parks, and the Make a Wish Foundation. 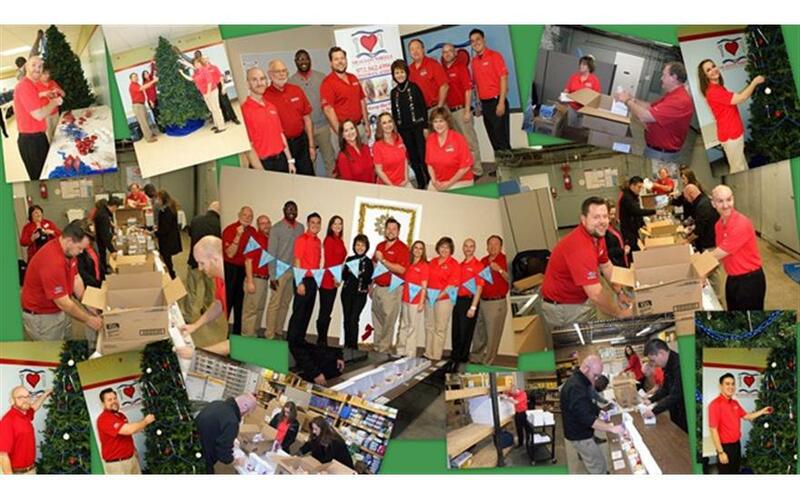 Last year was the first year in which retailers were able to select a "Hometown Charity" to receive donations in addition to the national charities. 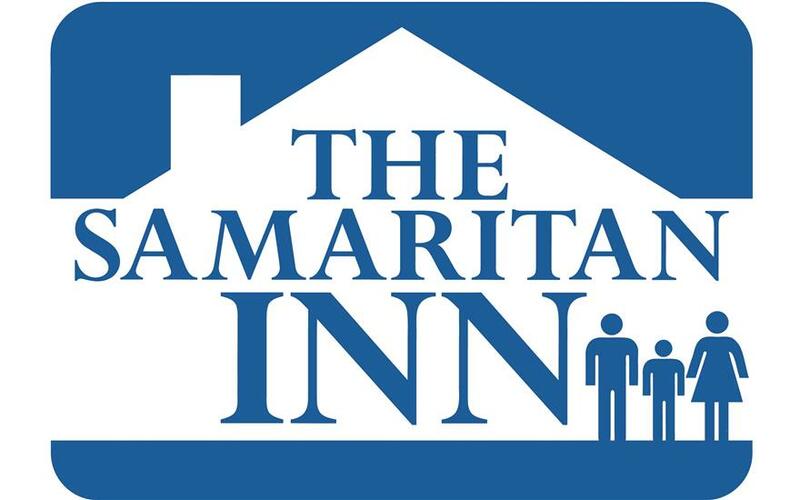 We are proud to have chosen The Samaritan Inn for our hometown charity this year. With the efforts of a great team and our Subaru customers, The Samaritan Inn was presented a check in the total amount of $6,694.00! Kudos to the Brandon Tomes Subaru and a HUGE thank you to all of our Subaru customers who participated in this program! We could not have given back to our community like this without our fabulous customers. 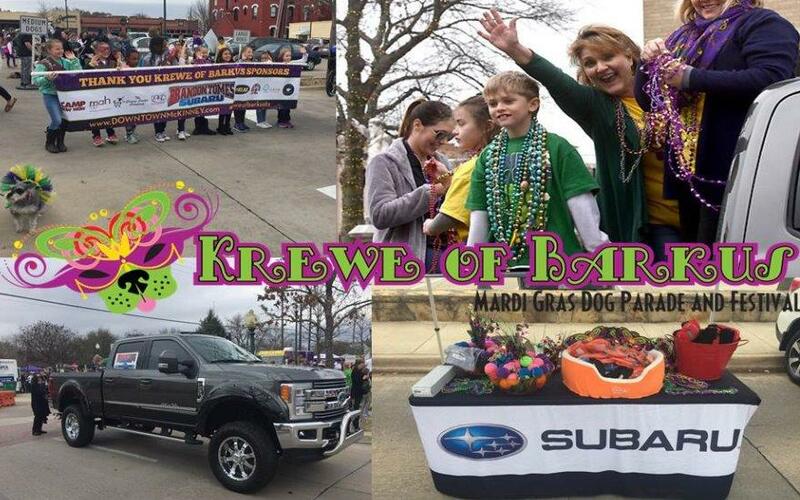 Brandon Tomes Subaru was the exclusive Automobile Dealer for the Krewe of Barkus parade on February 15, 2015 in Historic Downtown McKinney. From Baquettes to beignets, from the fun and food of the French Quarter in New Orleans to pooches in Paris, the 2015 Krewe of Barkus saluted all things French! The McKinney Artistic Krewe of Barkus 2015 called on all four-legged canine friends and their best buddies to share in the excitement for this year's event. The theme this year was A Salute to All Things French, berets and bon bons, the fashion, the food, and the fun. Embarking on its 13th annual successful year, Krewe of Barkus was a howling hoot. In past years, more than 200 dogs participated in the parade alongside more than 4,500 spectators in awe of costumes, creatures and creativity. Patterned after the Mystic Krewe of Barkus in New Orleans, which was established to help abused and abandoned canines, Krewe of Barkus featured a parade, vendor booths, interactive activities and prizes for costumes. The costume parade was limited to 250 dogs and the event was free and open to the public. This is one of the most popular family friendly community events in Texas and produced by The City of McKinney and the Art Institute of McKinney. 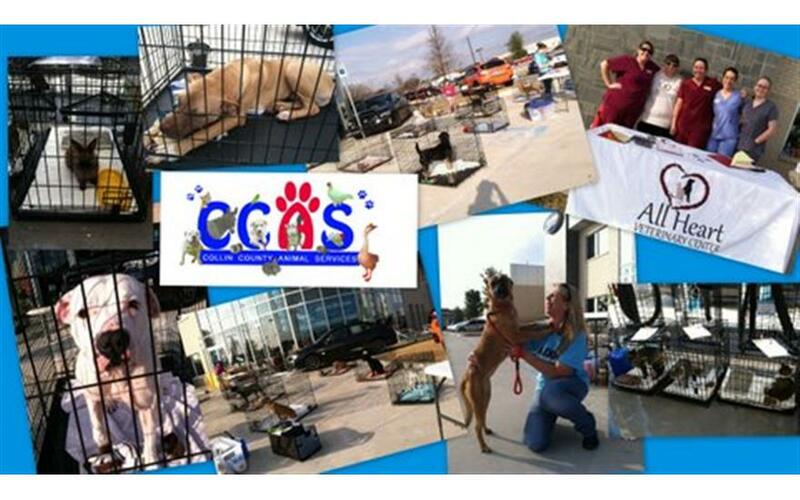 On December 13, 2014 Brandon Tomes Subaru sponsored a pet adoption and was held at our dealership. The ASPCA brought 10 dogs, 3 cats, and a litter trained rabbit. We advertised previously on our social media and via email blasts! The ASPCA also advertised the event on their social media and other sources as well. Five of the ten dogs found furever homes at this event! Thank you ASPCA for helping the helpless! Brandon Tomes Subaru had the privilege of hosting a pet adoption at our dealership. We had ten dogs, three cats, and a bunny. Five of the ten dogs found forever homes! All Heart Veterinary from Farmersville, Tx was also there giving low cost vaccinations. Customers and others who came to adopt a pet also had the opportunity to spin our Brandon Tomes Subaru spinning wheel to receive a prize. Altogher, it was a fun and successful day! Recently, Bob and Brandon Tomes and a group of Brandon Tomes Subaru associates volunteered at Meals on Wheels of Collin County as part of the Subaru Share the Love Event. In an effort to keep the promise, no senior goes hungry, shelf meals are delivered to clients in advance of holidays and possible inclement weather days when hot meals may not be delivered. Brandon Tomes Subaru associates assisted in preparing 150 of those shelf meals! The associates also decorated the Meals on Wheels Christmas tree for the volunteers and the staff to enjoy throughout the holiday as well as created festive bags of ornaments that were made and donated by local scout troops which will be included in the holiday meals that will be delivered to the seniors.